Everyone in the “natural childbirth” movement celebrates this award. The Swedish charity is giving formal recognition to the fact that birthing women in the U.S., their babies and their families face an urgent threat to their safety and their ability to have home birth or birth center without the social isolation and medical interference that comes with hospital birth. The “natural childbirth movement” has been seeking to restore access to midwives and home birth for over a half-century, but its struggles and accomplishments are usually not publicized beyond its immediate circles, except for an occasional newspaper article that as a thinly disguised promotion of hospital birth which contains alarming quotes about the dangers of home birth. Almost 40 years ago, Gaskin founded the Farm Midwifery Center, an intentional community in Tennessee, to take childbirth out of the firm grasp of the medical profession who have medicalized this normal physiological function. She joined a small but growing number of parents that were seeking “natural childbirth” and lay midwives that were risking arrest (or were actually arrested) for assisting women who gave birth at home. At the time Gaskin founded The Farm, virtually all births in the U.S. took place in hospitals where birthing women were kept in isolation from their families, drugged and cut. With the invention of the fetal heart monitor, in which an electrode is placed in the fetus’ scalp, cesarean rates rose from 5% to 15% in most hospitals, because in its experimental stages, no one yet knew the significance of every blip on the screen, and so a cesarean was performed whenever anything unusual was seen, because no doctor wanted to risk a malpractice suit for ignoring an unusual blip that might indicate a serious complication. Due to Gaskins’ and others’ pioneering work, today most states offer some form of licensure for midwives and highly motivated and well-situated parents are able to seek out and obtain the services of a midwife for their home, or birth center birth. Sadly, the rate progress of the natural childbirth movement has been outspaced by that of the medical profession. Today, physicians (with the assistance of hospital certified nurse midwives which they control) routinely use drugs and surgery in a hospital setting. Over a third of babies are now delivered by cesarean section in the United States. Perhaps the awarding of this well-deserved honor will highlight the need for all of us who see a U.S. woman’s right to have a un-interfered-with natural birth in a home or birth center setting as foundational to all other women’s rights, including other sexual and reproductive rights such as access to birth control and abortion. Message from Cathy Courtney: Greetings, thirty-nine years ago, I traveled to Iowa with an amazing group of women from CMU to attend the first women's self help conference. I was never quite the same after learning what I learned and meeting the women who gathered. Invitation for a Gathering of Women to honor, celebrate and share stories about the early days of the 1970’s women’s health movement. Come celebrate the 39th Anniversary of Gynecology Self-Help Clinics and women controlled health projects. Hear about the first national conferences some of us attended in 1972 and 1974 in Iowa. The 40th anniversary year of Our Bodies Ourselves! Hear about how life changing it was for so many! Herstoric gathering~ discussion~ reflection~projection: When did you participate in your first GynSelf-Help Clinic? When did you first read the OBOS? 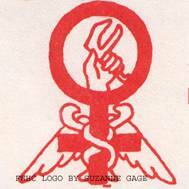 How did the feminist health movement influence your health, your life? How are you connected to current struggles for autonomy, health, single payer nat'l health plan, other health related projects & economic justice? Contact Host- Janice Fialka for more information at ruaw@aol.com or Cathy Courtney at HoustonC3Courtney@gmail.com. RSVP appreciated so we can plan for dinner. Look forward to seeing you!